Balma, Capoduri & C. is a concrete example of what it means to be “Made in Italy”. 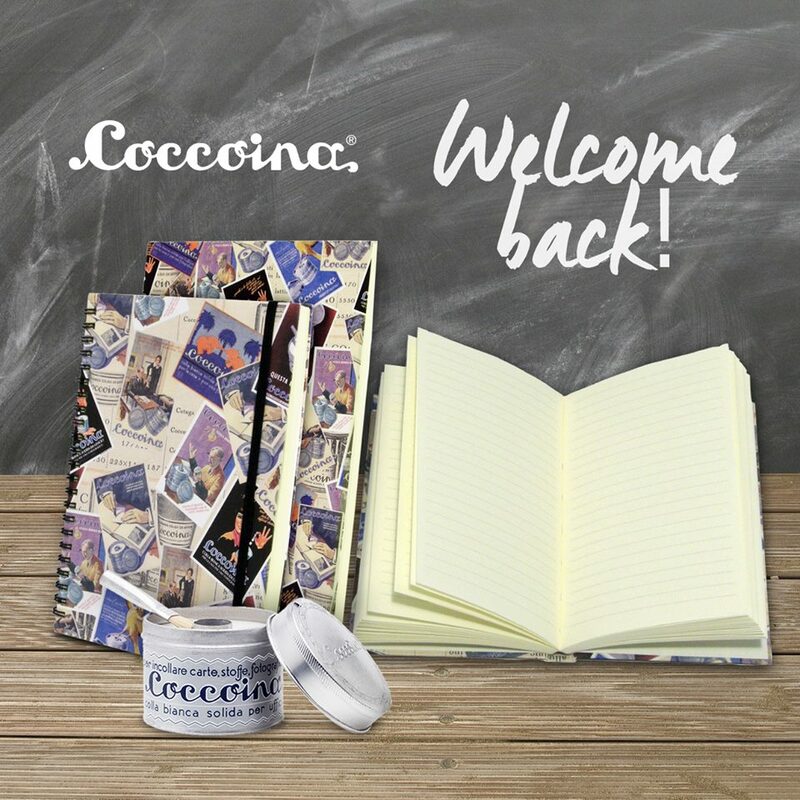 They are proud of this origin and the trademark conveys the excellence of their Coccoina line as well as their other division, Zenith (the much loved and very cool staplers). It is present on all their packaging and it certifies the quality, reliability and above all, the origin of their products. The tin container and brush, are manufactured in Italy in the company’s production plants in Voghera. “Passion for manufacturing, innovation, efficiency, “made in Italy”, social responsibility and respect for the environment… These values have always been our landmarks”. In keeping with Italian tradition Rossi is doing a private label program with Coccoina based on their historical advertising campaigns from as far back as the 1920’s. 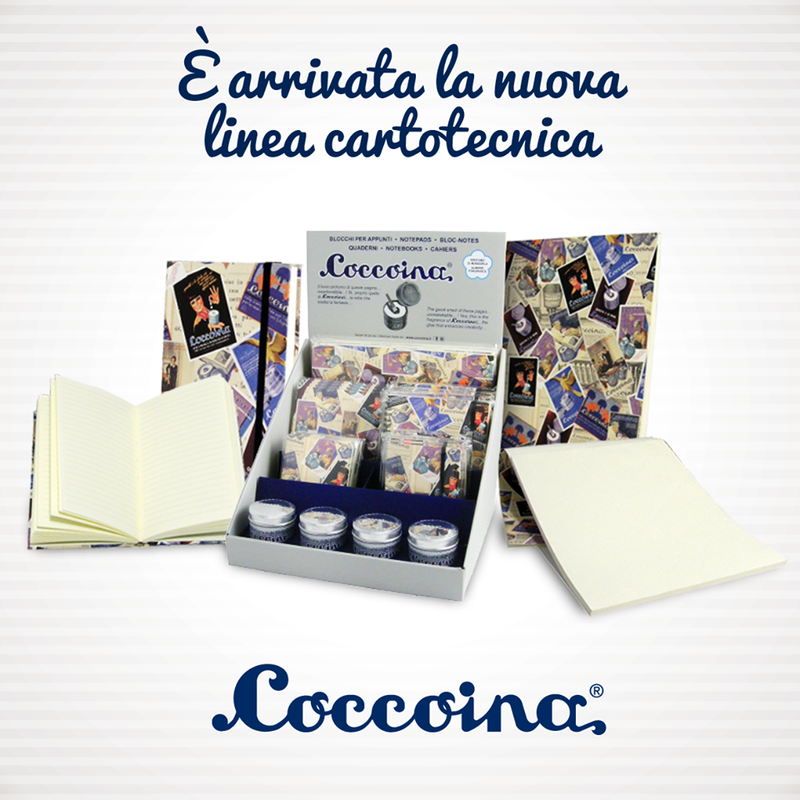 The brand new line of Coccoina paper products, which includes different sizes of notepads and notebooks, is finely crafted by Rossi1931 for Coccoina. 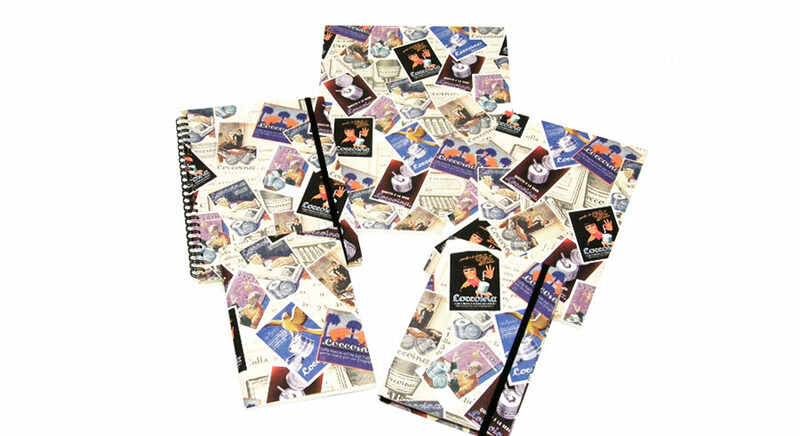 The covers show beautiful and rare vintage pictures of the old famous Coccoina advertising campaigns, while the internal pages are imbued with the traditional almond fragrance of all Coccoina glues.